Some of 23 state lawmakers who pledged with a Washington, D.C.-based group to vote against tax increases disagree whether a vote to refer a tax increase for highways to voters would run afoul of their pledge. The group is Americans for Tax Reform, founded by Grover Norquist in 1985, according to its website. Without a legislative consensus on any plan to raise more money for highways, Republican Gov. Asa Hutchinson and legislative leaders said they are weighing their options. Legislative leaders said it would be tough to get lawmakers to raise taxes for highways without referring it to voters. Raising the state’s gas and diesel taxes would require votes of least 75 representatives in the 100-member House and at least 27 senators in the 35-member Senate, but adding a sales tax to fuel would only require a majority vote in both chambers. The House of Representatives includes 76 Republicans and 24 Democrats; the Senate includes 26 Republicans and nine Democrats. Senate Republican leader Bart Hester of Cave Springs said he interprets his pledge to mean he can’t vote to refer a tax increase to voters. But state Rep. Lane Jean, R-Magnolia, said he doesn’t consider it a tax increase when he votes to refer such a proposal to voters. “”I don’t see it as a violating that pledge,” said Jean, who is co-chairman of the Legislature’s Joint Budget Committee. “If overall, what we do with income taxes lowers the overall [tax] burden, I could do that vote as a tax increase for highways,” he said in an interview. Sen. Jason Rapert, R-Conway, said, “Giving the people something to vote on, to my knowledge, is not actually voting for an increase. 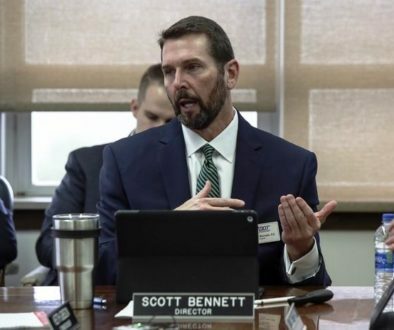 House Public Transportation Committee Chairman Mike Holcomb, R-Pine Bluff, said, “I am going to put it this way: I am not against doing a referral to the people and them make a decision on highways. “The governor wants to do the referral and I think that’s what is going to happen,” he said. The governor was asked by this newspaper whether the 23 lawmakers who signed the anti-tax-increase pledge factor into his thinking whether the Legislature should raise highway taxes on its own or refer the matter to voters. “Any pledges that legislators sign are always a factor, but I am confident there is legislative support for a highway plan,” Hutchinson said. “I have always thought a referral to the voters for a highway plan that involves new revenues is the best option,” the Republican governor said in a written statement. “But if there is a consensus on other means to fund highways that does not jeopardize education and other essential services of the state, then I will obviously be open to those discussions,” Hutchinson said. “For those concerned about a no-tax pledge, everyone can be assured that there will be tax reductions in this session of the Legislature,” the governor said. 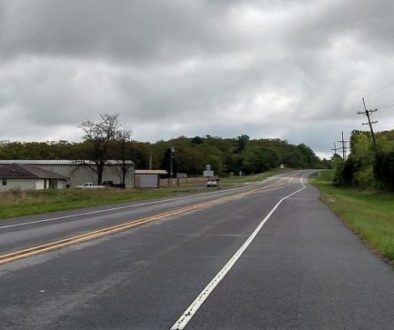 Hutchinson has said he considers a permanent extension of the half-percent sales tax for highways approved by voters in 2012 to be a foundation of any highway funding plan referred to voters. Lt. Gov. Tim Griffin only has a vote in the Senate if there’s a tie vote. But he has a bully pulpit as the second-highest elected official in state government. Griffin signed Americans for Tax Reform’s no-tax-increase pledge. In addition, the Republican lieutenant governor is widely expected in both Republican and Democratic circles to run for governor in 2022. 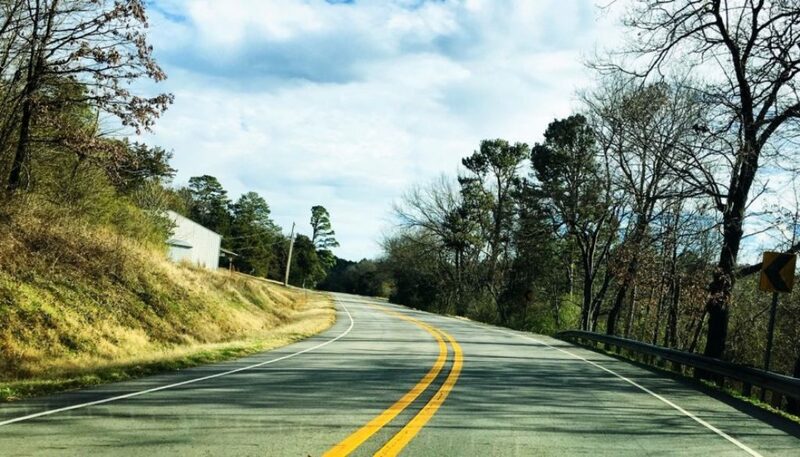 “The governor and the Legislature are exploring a number of options, and they are committed to funding our roads,” Griffin said in a written statement. Norquist, the Americans for Tax Reform president, said the goal is to not increase net taxes. 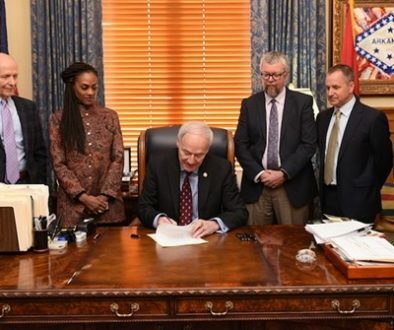 The Arkansas Tax Reform and Relief Legislative Task Force has recommended more than $400 million a year worth of individual income and corporate tax cuts; the Department of Transportation has estimated it needs more than $478 million a year over the next 10 years. Hutchinson announced at the outset of the fiscal session in February 2018 that he wants the General Assembly in 2019 to cut the state’s top individual income-tax rate from 6.9 percent to 6 percent. State officials projected that would reduce revenue by about $180 million a year. Then in August, the governor revised his plan by including ideas from the legislative task force. That revision reduced the number of individual income-tax tables from three to one and gradually reduced the top individual income-tax rate to 5.9 percent. This plan is projected by state officials to reduce revenue by nearly $192 million a year after it’s fully implemented. This plan would raise rates for some taxpayers, but also would increase the standard deduction from $2,200 to $6,800 for single taxpayers and from $4,400 to $13,600 for married taxpayers. But a snag emerged two weeks ago after state officials concluded that roughly 200,000 taxpayers would pay more than $30 million in additional income taxes under the proposal. Hutchinson and state officials refer to this plan as the “2-4-5.9” plan because of the rates that ultimately would be charged at different income levels. People with taxable income up to $8,000 would pay a 2 percent rate; those with between $8,001 and $18,000 in taxable income would pay 4 percent; and those making $18,001 and up would pay 5.9 percent. Since Hutchinson’s plan would boost individual income-tax rates on some, it would require a three-fourths vote of the 100-member House and 35-member Senate for approval. Hutchinson and key lawmakers said they have been trying to figure out how to change the proposal to guarantee that no filer will be hit with a tax increase. They expect to release a revision this week. Hutchinson also has said he wants lawmakers to enact legislation patterned after a South Dakota law upheld by the U.S. Supreme Court to allow the collection of sales taxes from out-of-state sellers without a physical presence in the state — in other words, Internet sales. He also wants the state to adopt certain provisions of federal income-tax law. The former is projected by state officials to raise about $20 million a year and the latter is projected to raise about $28 million a year. Asked if he intends to include those two provisions in his income-tax-cut bill, Hutchinson said, “The exact timing and structures of the legislation is a matter of policy and strategy, and there are ongoing discussions as to the best approach. “I expect more news on this point sometime [this week],” the governor said. “It’s a net tax cut,” he said, so he doesn’t believe he would run afoul of his no-tax-increase pledge. Rep. Charlene Fite, R-Van Buren, said she doesn’t see the Internet sales-tax measure violating her pledge to oppose tax increases.